The police chief in Reading, Massachusetts, who has been on administrative leave since last December, is now facing domestic violence charges. 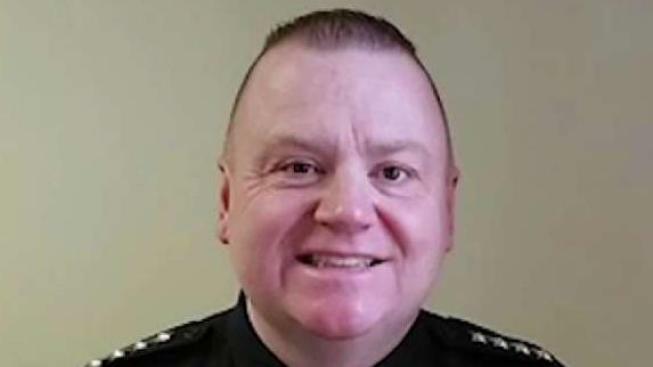 A Massachusetts police chief who has been on administrative leave since last December is facing domestic violence charges, according to officials. Reading Town Manager Robert W. LeLacheur said Reading Police Chief Mark Segalla is facing charges in connection with a domestic violence incident that took place on Dec. 21, 2018 in Tewksbury. No information about the exact charges he is facing were released. LeLacheur said the charges were brought by a special prosecutor who was hired through the Norfolk district attorney's office after the Middlesex district attorney's office referred the case to Norfolk. LeLacheur said Reading town officials have "cooperated fully" with all investigating agencies.